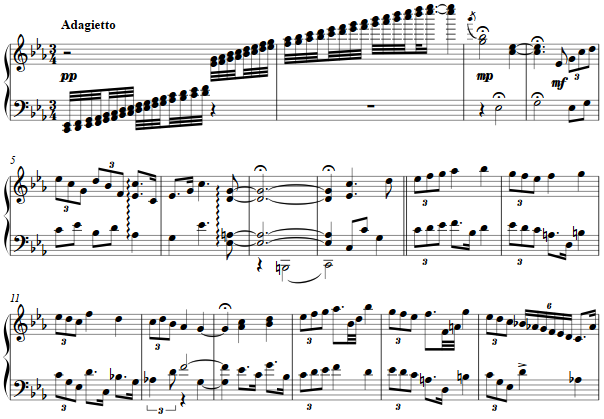 Enrique Granados' Piano Trio, opus 50 and written in 1895, contains a "canzone" in the first movement, as he titles it in the score. The theme is in alternating meters, a 2/4 marked meno and a 3/8 marked più, the effect as often played of two quarters and an eighth note triplet within the three. The opening two-finger glissando spans the C minor tonality, with a short bridge before the theme at the pickup to the double bar.